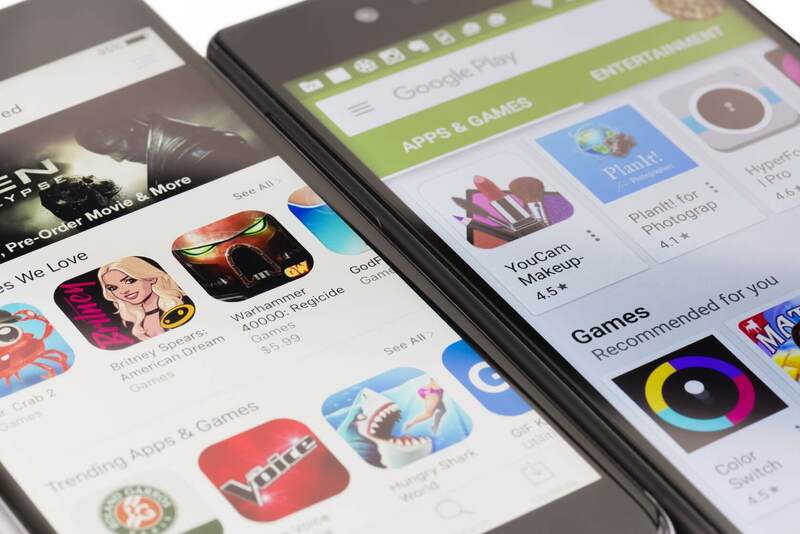 Google app store, also known as Play Market, is developing at a tremendous rate. It was losing a little bit in terms of the quality of apps compared to the App Store a few years ago, and it was very difficult to find something really useful there. Yet today, things have changed drastically. There are so many creative and trendy android apps out there that we have prepared this list for you to save time. Download and enjoy! Strava. The Strava app can be a great helper for those who regularly make cross-country workouts. The program can record the routes that you run on most often, analyze your results and compare them to the results of other users from your city. Parameters that this tracker can record include the maximum and minimum running speed, the distance travelled, the number of calories burned, and so on. Evernote. Evernote is a great note-taking app that syncs under one account on different mobile devices and computers. With the Evernote app, you are able to create notes with nested lists and photos, as well as set reminders on notes. In addition, you can not only write the note yourself but also record it using your voice. The Tinder app is a cool new way to meet interesting people around you. Swipe to the right to put the “like” on a user or to the left to ignore. If someone likes you back, you become a virtual couple! Chat with your couples or take a photo to share the moment with all of them at the same time. This is a new opportunity to express yourself and tell your friends about yourself. Tinder is definitely one of the best apps for online Ukraine dating. Pushbullet. This is a highly useful application with the help of which you can connect your smartphone, computer, and tablet with each other for instant exchange of calls, messages, and files. Thanks to this application, you will not miss any important news or messages. The program uses the standard Google profile to share information, so you don’t have to waste time creating a new account. Timehop. A mobile application that helps the user recall any day from the past, showing old photos and posts from Facebook, Instagram, Foursquare, and Twitter. Timehop is a simple service that gives you the opportunity to return to the events of the day that happened in your life a year ago or even earlier. It looks similar to the “this day in history” concept, but Timehop shows personal events from the user’s life. The Snapseed application is a cross-platform photo editor which has many tools for high-quality editing of your images. This application will help correct even the most blurred or dark photographs to create true masterpieces. Built-in filters allow you to make the image more authentic in a few clicks. Uber. This service is simple and convenient. When you download the Uber application to the smartphone, it is necessary to register and connect a bank card since the concept of Uber is based entirely on cashless payments for trips. The application determines the location of the user via GPS – there is no need to give the exact address. Then it displays the map with the cars nearby. The users can investigate each car, check the driver’s rating, and choose the one that they like most. Habitica. Sometimes getting yourself to do something is very difficult. The Habitica app is designed to motivate you to do whatever you have to in just a playful way: sign up for the gym, learn English, or start eating properly. Inside the program, you set yourself any goals, and then celebrate your achievement, thus developing your fighting spirit and receiving awards for this. There is no need to fight with life difficulties alone: the application allows you to compare your achievements with other users, which will make your self-improvement even more interesting. 1Password. This is an application that helps you keep your data safe. 1Password will invent and remember the most complicated password for any site or remember the password from your credit card. All the services you use will have different passwords, but you can get access to them with just one click. Thus, all your data will be securely protected, and you will not have to keep all the passwords in mind. Cerberus is a great application using which you can find a lost or stolen Android smartphone. The application only works if there is a remote control and stops after the execution of remote requests so that your smartphone does not discharge. Set the settings to protect the Cerberus from unauthorized deletion, and the thief will be able to get rid of it only in case of a complete flashing of the smartphone. In the case of an attempt to track the smartphone, the program automatically turns on the GPS. In addition, the SIM Checker feature allows you to find out a new phone number if the SIM card has been changed. Hopefully you’ve got to know some of the most popular Android apps, if you feel so bored then you can try out these apps and have fun! do share this post with your friends and family and let us know in comments which app you liked the most.